Patrick has built nearly a decade of experience in San Diego residential and investment real estate. Prior to joining the Reef Point team, he worked for the largest investment real estate brokerage firm in the nation, where he provided consultative services for clients owning more than $57 million in San Diego real estate. 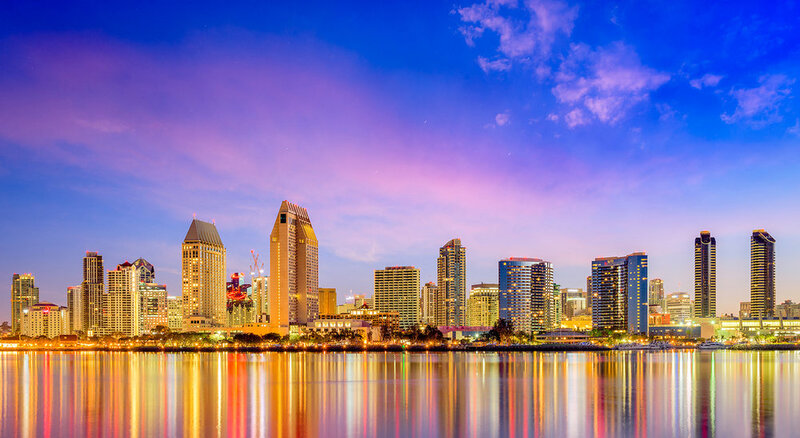 He is well versed in San Diego's residential and investment real estate markets, and his transparency and market knowledge ensures that his clients are fully informed while making the most important financial transaction of their lives. Patrick holds a bachelor's degree from the United States Naval Academy in Annapolis, MD, and an MBA from UCLA's Anderson School of Management. While earning his graduate degree, Patrick was a member of the UCLA Anderson Real Estate Association and he earned specialized certificates in finance and entrepreneurship. Prior to business school, Patrick served our nation in the U.S. Navy as an officer. While serving in the military, he also invested in property and has grown a substantial real estate investment portfolio in San Diego. He proudly continues his service in the Navy Reserves. He is a board member of the San Diego County Apartment Association's Legislative Steering Committee which provides legislative input and guides the direction of San Diego's housing and rental community. Patrick is passionate about educating and assisting others who also want to purchase and invest in real estate, including first-time buyers looking for their initial home, those interested in purchasing their first investment property, as well as those looking to grow an investment portfolio for long-term passive income. <squarespace:query /> build error: Invalid 'collection' parameter. Could not locate collection with the urlId: patrick-kappel-licensed-real-estate-agent.